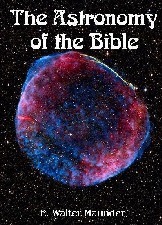 Why should an astronomer write a commentary on the Bible? Because commentators as a rule are not astronomers, and therefore either pass over the astronomical allusions of Scripture in silence, or else annotate them in a way which, from a scientific point of view, leaves much to be desired. 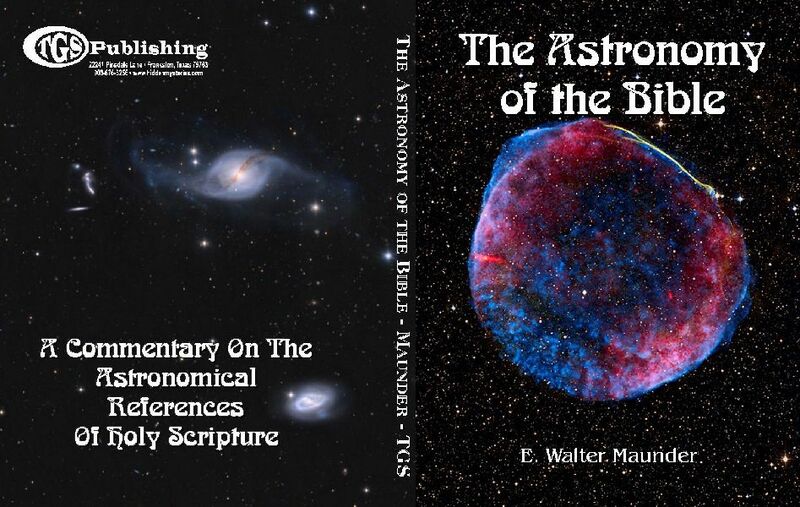 Astronomical allusions in the Bible, direct and indirect, are not few in number, and, in order to bring out their full significance, need to be treated astronomically. Astronomy further gives us the power of placing ourselves to some degree in the position of the patriarchs and prophets of old. We know that the same sun and moon, stars and planets, shine upon us as shone upon Abraham and Moses, David and Isaiah. We can, if we will, see the unchanging heavens with their eyes, and understand their attitude towards them. It is worth while for us so to do. For the immense advances in science, made since the Canon of Holy Scripture was closed, and especially during the last three hundred years, may enable us to realize the significance of a most remarkable fact. Even in those early ages, when to all the nations surrounding Israel the heavenly bodies were objects for divination or idolatry, the attitude of the sacred writers toward them was perfect in its sanity and truth. 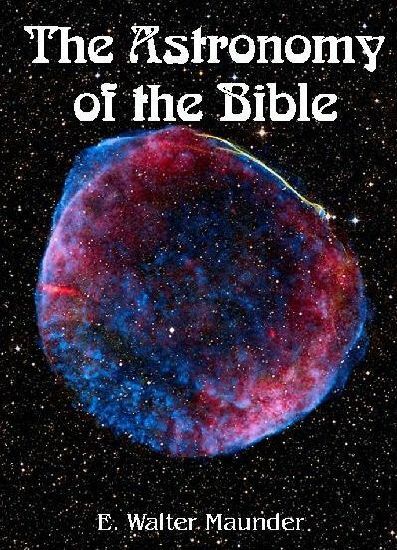 Astronomy has a yet further part to play in Biblical study. The dating of the several books of the Bible, and the relation of certain heathen mythologies to the Scripture narratives of the world's earliest ages, have received much attention of late years. Literary analysis has thrown much light on these subjects, but hitherto any evidence that astronomy could give has been almost wholly neglected; although, from the nature of the case, such evidence, so far as it is available, must be most decisive and exact. I have endeavoured, in the present book, to make an astronomical commentary on the Bible, in a manner that shall be both clear and interesting to the general reader, dispensing as far as possible with astronomical technicalities, since the principles concerned are, for the most part, quite simple. I trust, also, that I have taken the first step in a new inquiry which promises to give results of no small importance. Modern astronomy began a little more than three centuries ago with the invention of the telescope and Galileo's application of it to the study of the heavenly bodies. This new instrument at once revealed to him the mountains on the moon, the satellites of Jupiter, and the spots on the sun, and brought the celestial bodies under observation in a way that no one had dreamed of before. In our view to-day, the planets of the solar system are worlds; we can examine their surfaces and judge wherein they resemble or differ from our earth. To the ancients they were but points of light; to us they are vast bodies that we have been able to measure and to weigh. The telescope has enabled us also to penetrate deep into outer space; we have learnt of other systems besides that of our own sun and its dependents, many of them far more complex; clusters and clouds of stars have been revealed to us, and mysterious nebulæ, which suggest by their forms that they are systems of suns in the making. More lately the invention of the spectroscope has informed us of the very elements which go to the composition of these numberless stars, and we can distinguish those which are in a similar condition to our sun from those differing from him. And photography has recorded for us objects too faint for mere sight to detect, even when aided by the most powerful telescope; too detailed and intricate for the most skilful hand to depict. Galileo's friend and contemporary, Kepler, laid the foundations of another department of modern astronomy at about the same time. He studied the apparent movements of the planets until they yielded him their secret so far that he was able to express them in three simple laws, laws which, two generations later, Sir Isaac Newton demonstrated to be the outcome of one grand and simple law of universal range, the law of gravitation. Upon this law the marvellous mathematical conquests of astronomy have been based. All these wonderful results have been attained by the free exercise of men's mental abilities, and it cannot be imagined that God would have intervened to hamper their growth in intellectual power by revealing to men facts and methods which it was within their own ability to discover for themselves. Men's mental powers have developed by their exercise; they would have been stunted had men been led to look to revelation rather than to diligent effort for the satisfaction of their curiosity. We therefore do not find any reference in the Bible to that which modern astronomy has taught us. Yet it may be noted that some expressions, appropriate at any time, have become much more appropriate, much more forcible, in the light of our present-day knowledge.